"Light Of A New Day" (Sepia Version) features Precision Drilling Rig 573 drilling a lateral well near Barstow Texas in early April 2014. The image is available in 3:1 and 2:1 panoramic formats as well as short and standard sizes. The native 3:1 file is 200 megapixels so this image is very detailed croped to any size. 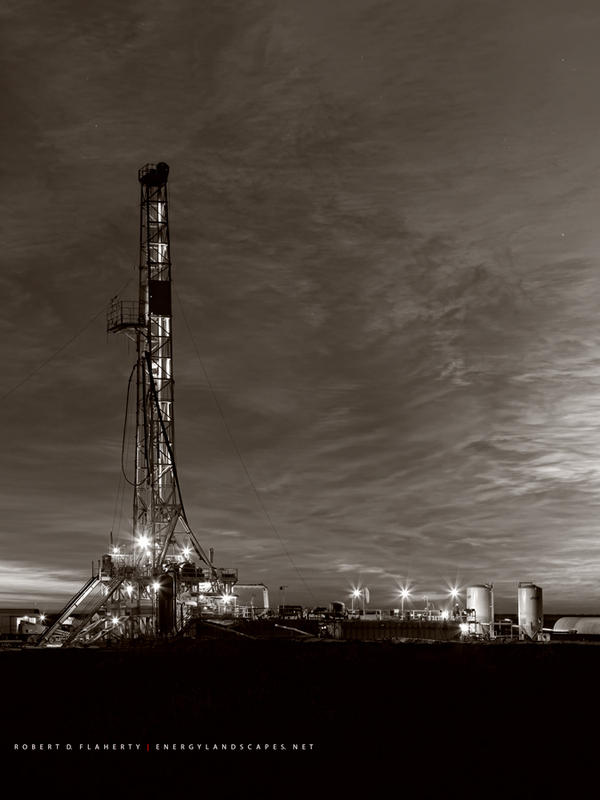 Oil & Gas Photography by Robert D. Flaherty. Photo © copyright by Robert D. Flaherty.